I can't help it! Another rock comes home with me. A smooth and tactile piece of Frosterley Marble from the beautiful Northumberland Coast of North East England. 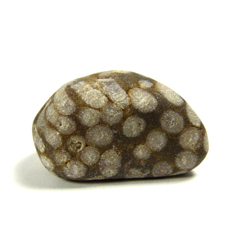 Frosterley Marble is a black limestone containing fossil corals of the Carboniferous Period, some 325 million years ago. 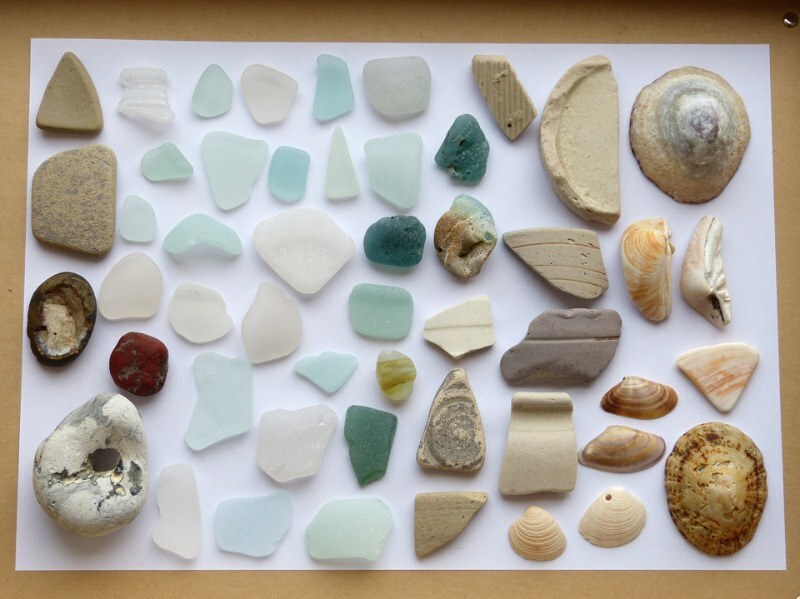 Beach finds this morning. 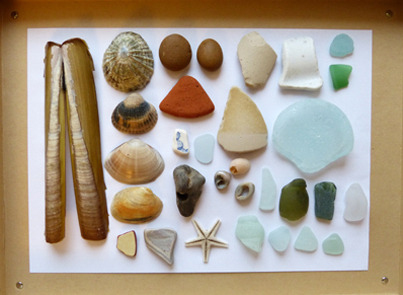 Not much sea glass, but quite an interesting assortment of objects, shells, beach pottery, pebbles and one holey stone. Bonfire glass is molten, free-form glass shards that often have specks of ash or sand embedded in it. Beach bonfires, building fires and controlled landfill burns may all produce bonfire glass. 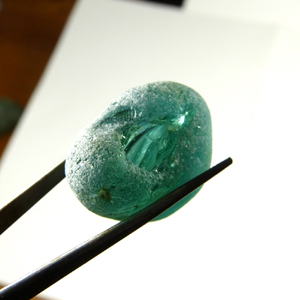 I found this excellent piece of jade green bonfire glass on Warkworth Beach.